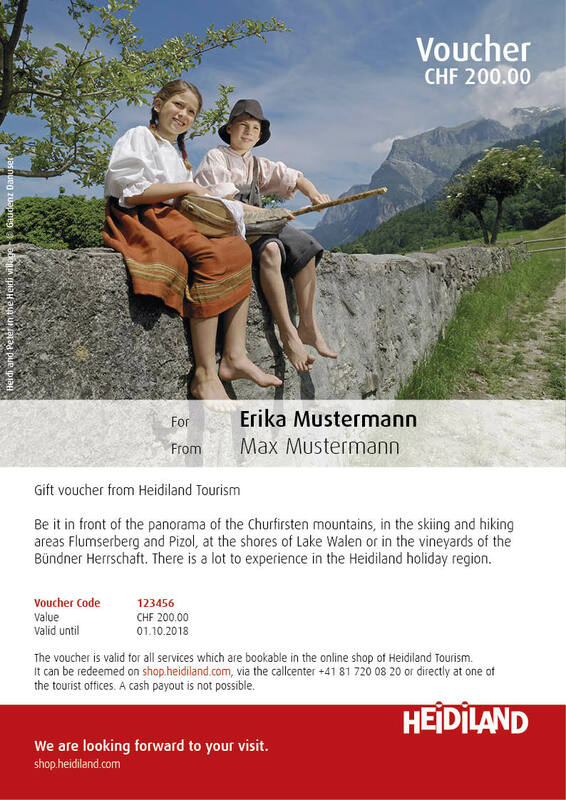 Give a piece of Heidiland! 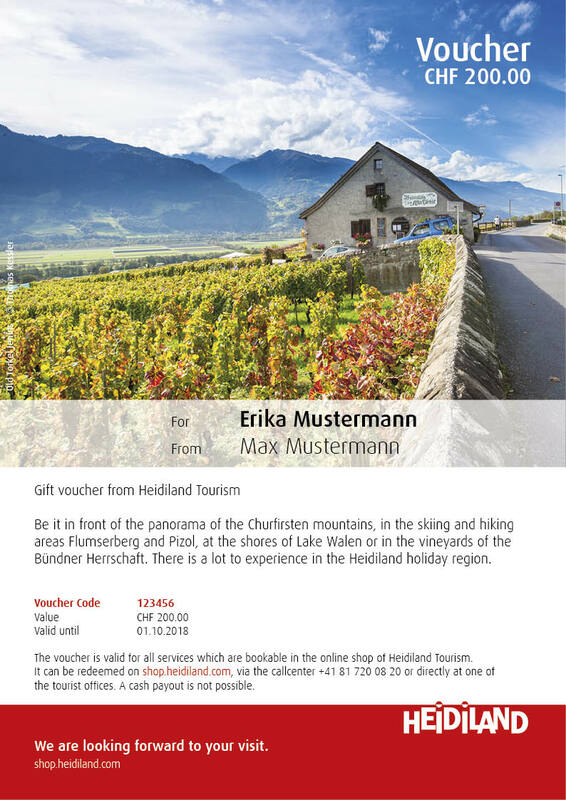 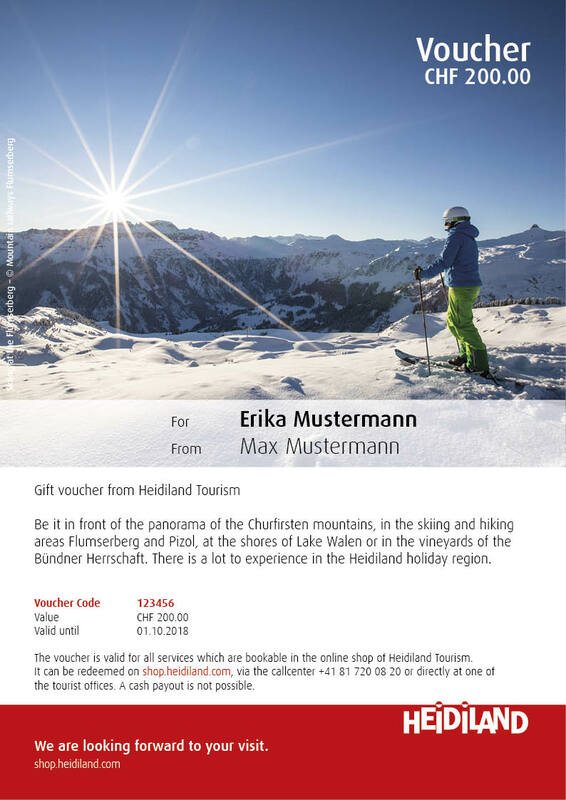 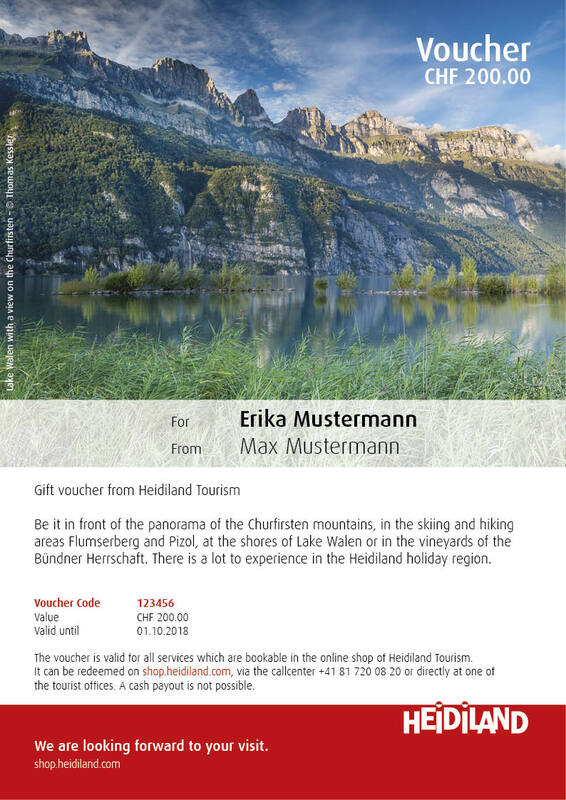 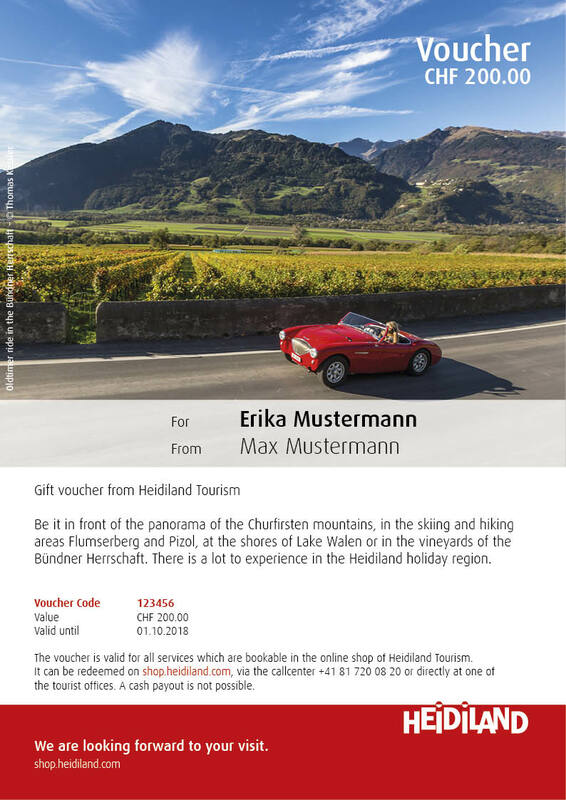 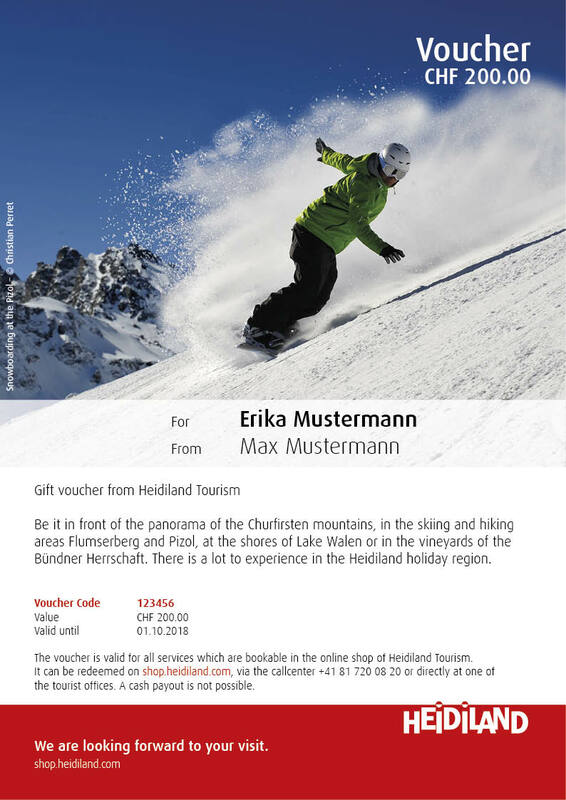 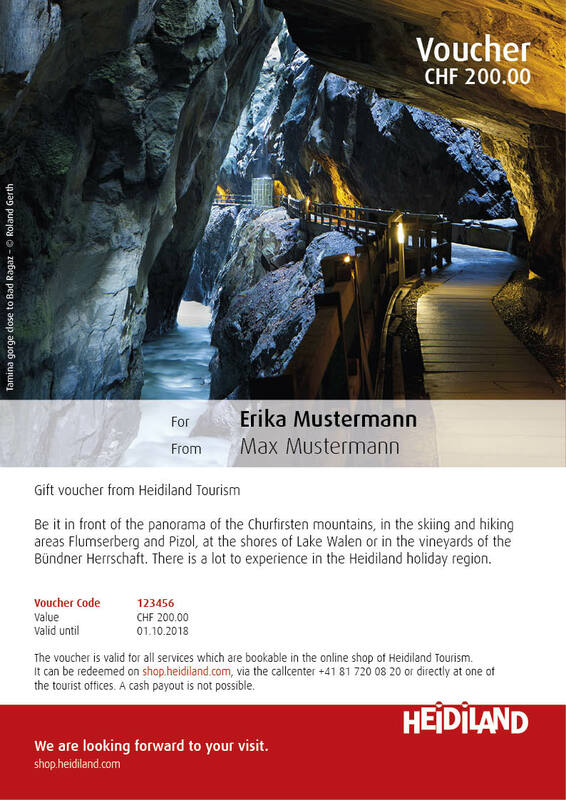 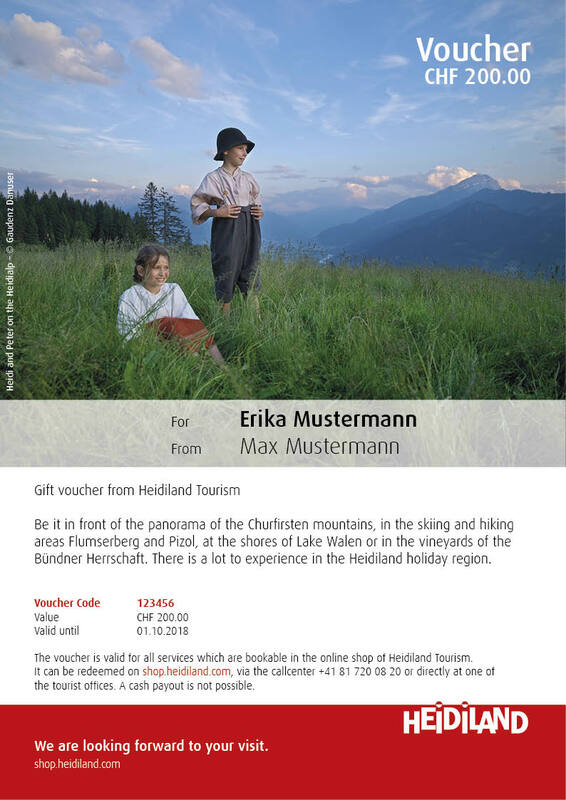 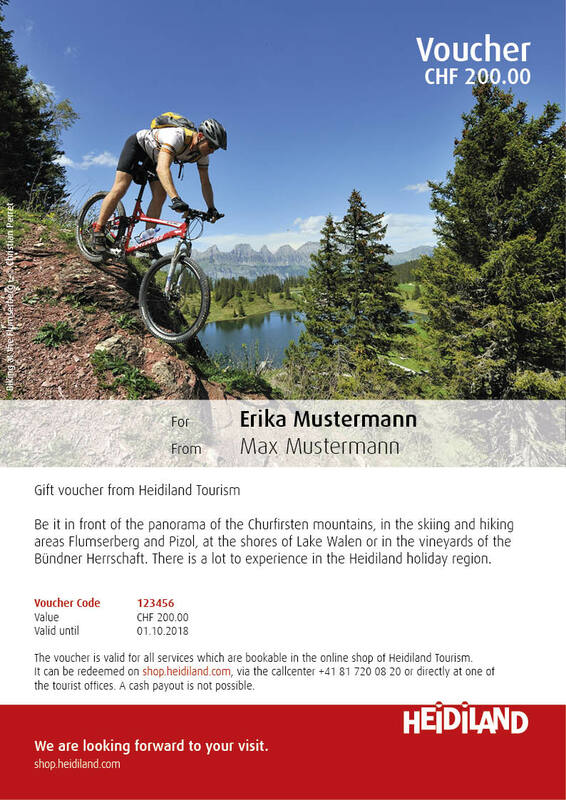 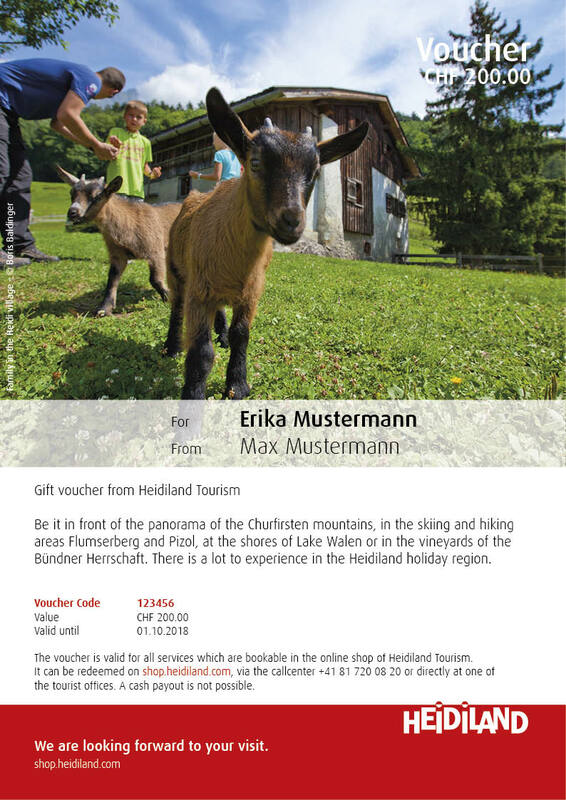 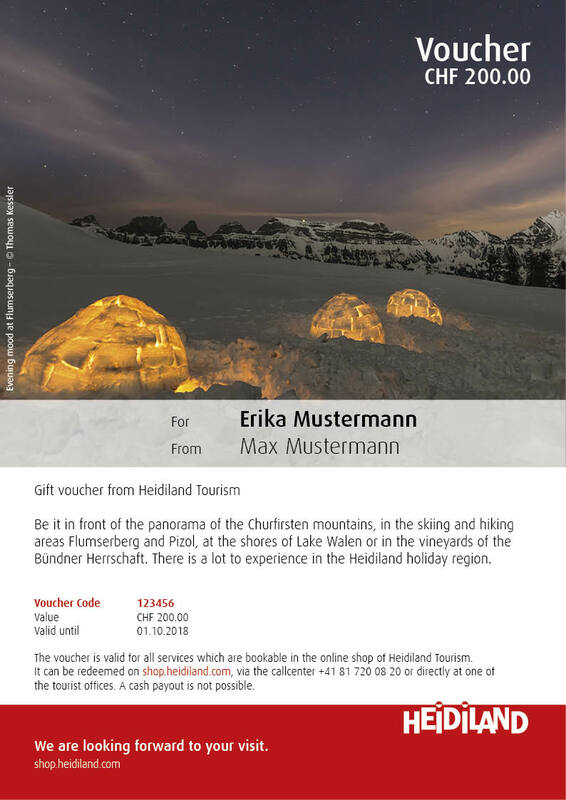 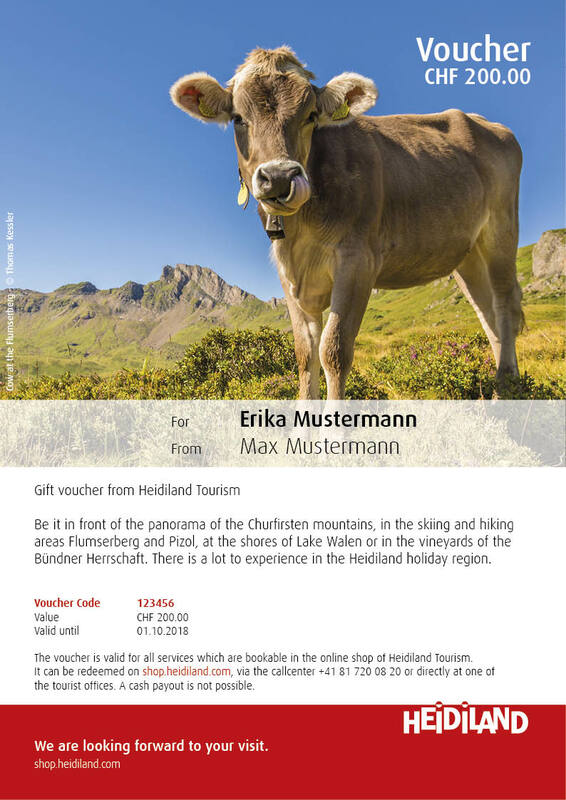 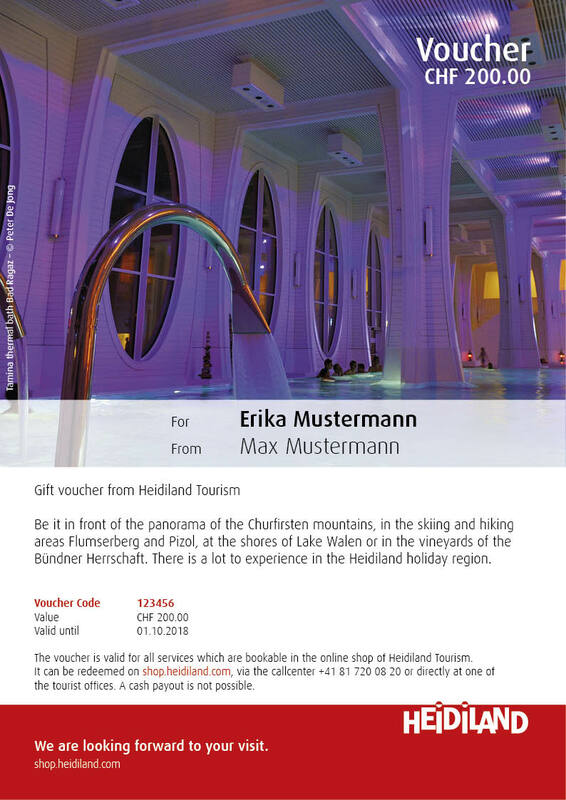 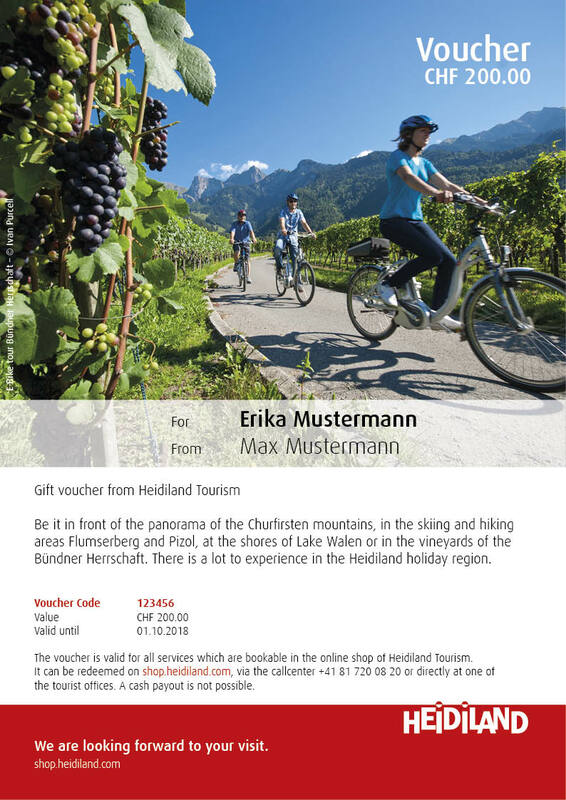 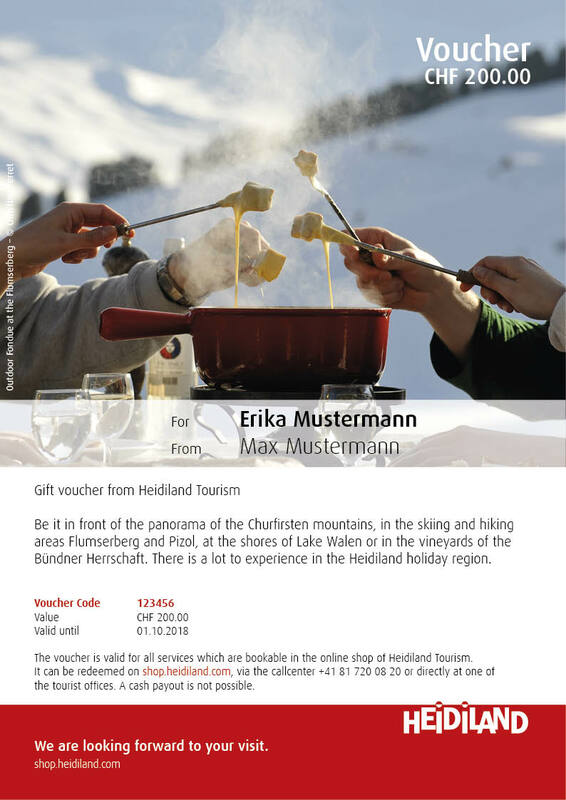 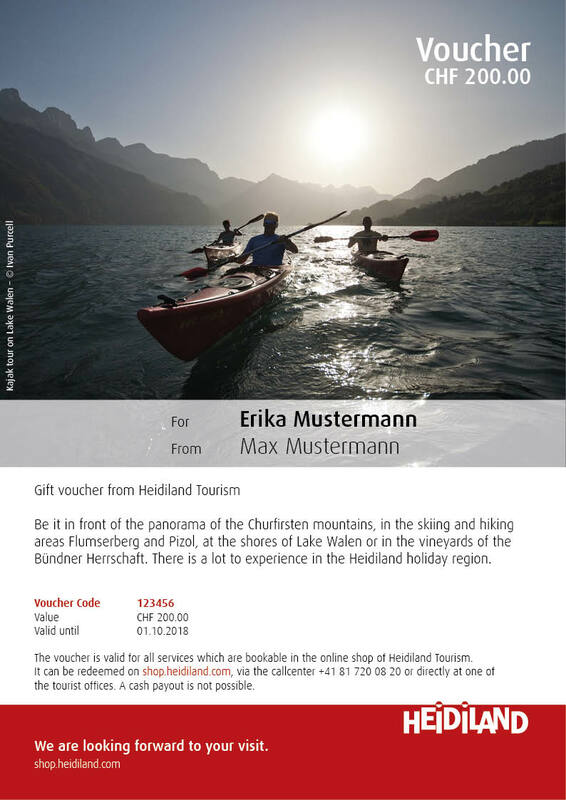 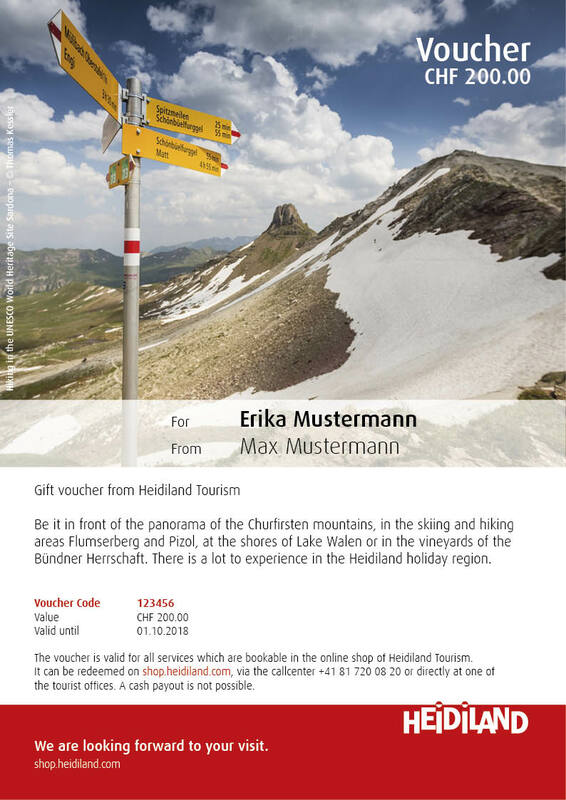 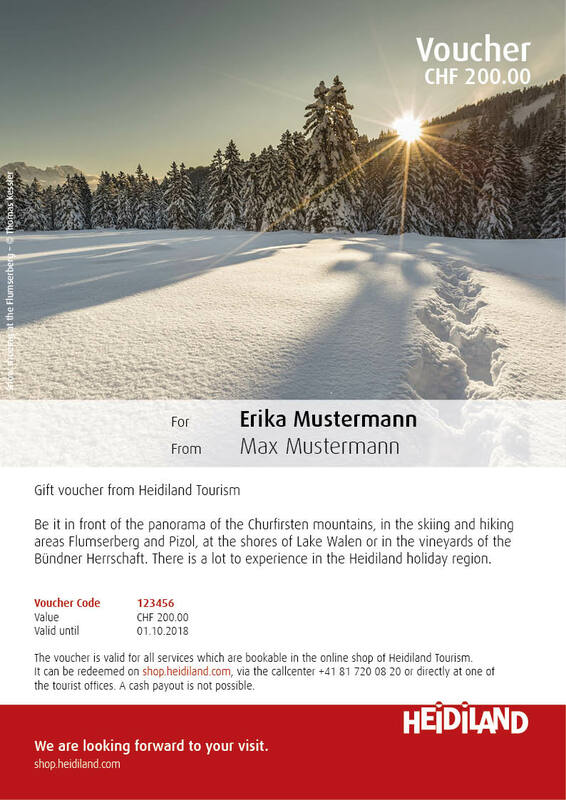 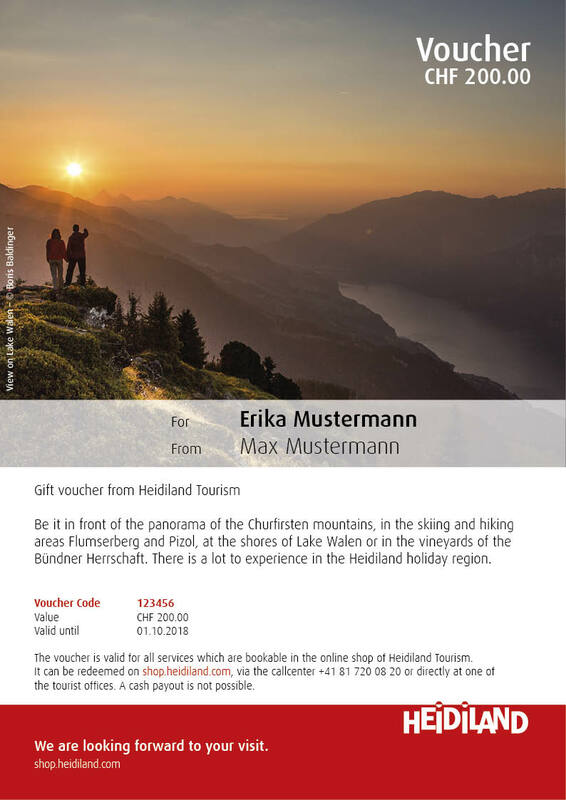 Redeemable in the entire online shop of Heidiland Tourism with more than 130 apartments, around 50 hotels as well as numerous package deals, experiences, entries and articles. 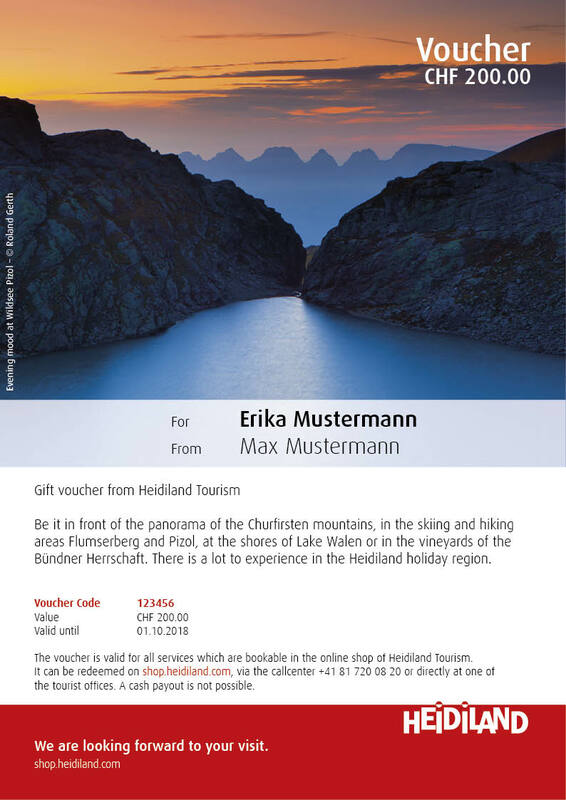 Please enter your name, the recipient’s name, and a personal message.